RAWALPINDI, Jan 18 (APP):The annual Japanese Calendars Exhibition 2018, organized by the Japanese embassy in collaboration with Rawalpindi Arts Council (RAC), started here at the RAC Art Gallery Thursday. Japanese Ambassador Takashi Kurai inaugurated the exhibition, which would continue till January 27. The citizens can visit the exhibition from 9 am to 4 pm. 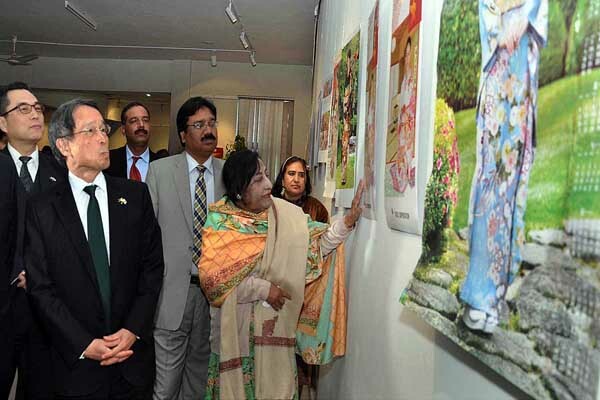 The exhibition is an annual feature of the cultural activities organized by the Embassy of Japan, which is popular among the people of Pakistan. This year, around 114 calendars have been put on display in the exhibition with the cooperation of Japan Calendars Association, Tokyo and various Japanese companies. The calendars displayed feature various themes related to the Japanese traditional and contemporary arts, sports, automobiles, nature, cultural heritage and architecture. Since, every calendar is a piece of art, the Japan Calendar Association has tried their best to attract the viewers through different subjects and mediums. The exhibition not only gives a picture of the socio-cultural development of Japan spread over centuries, but also exhibits the aesthetic features of Japanese printing technology. Speaking on the occasion, the ambassador said that a variety of Japanese calendars had been put on display in the exhibition which represented the beauty as well as the true life image of Japan. The purpose of the exhibition, he said, was to share various aspects of Japanese culture and lifestyle with the people of Pakistan. Most of the calendars displayed were produced by private Japanese companies and majority of them are printed on recycled papers which is an example of Japan’s efforts to be eco-friendly. Former RAC director Naheed Manzoor said, it was a good event to promote people to people contact and information about development of different sectors in Japan. RAC Director Waqar Ahmed was of the view that such kind of cultural exchange program proved helpful for the artists as well as general public. He thanked the Embassy of Japan for collaboration and support. All the calendars will be distributed among the visitors through balloting which will be conducted later by the embassy.